Success stories from our many valued partners. The Virgin Cosmetics utilized Helping Clients Succeed training to help employees balance multiple roles. 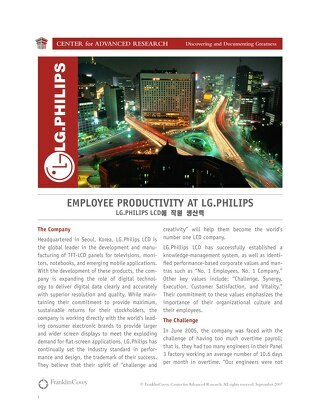 When LG.Philips LCD realized their engineers were working too much, they turned to FranklinCovey's FOCUS program. 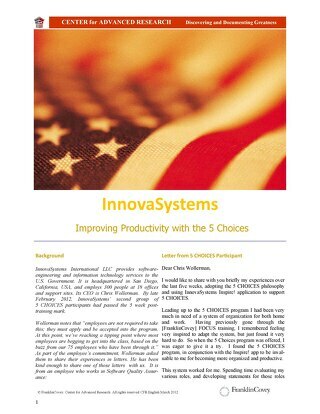 Innovasystems employed The 5 Choices to Extraordinary Productivity training to help their employees stay productive.